Duluth’s Central Hillside was home to Albert Woolsen, the last surviving Union Army soldier of the Civil War. Woolsen lived to be 109 years old. He was born in Watertown, New York, on February 11, 1847, and arrived in Duluth in 1862. 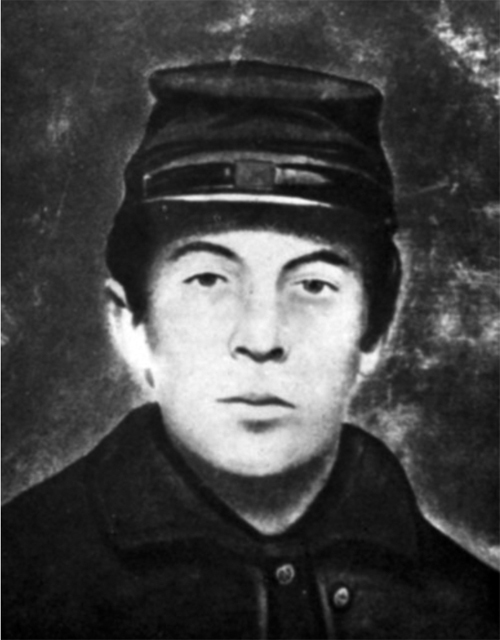 At 17, Woolsen joined the Union Army as a “volunteer private.” He was assigned to Company C of the First Minnesota Heavy Artillery Regiment, detailed to the drum corps—Albert Woolsen was a drummer boy. He saw no action, but witnessed Sherman’s March. A lifelong Republican, Woolsen cast his first vote for Abraham Lincoln. He was just 17 at the time and voted under a special war clause for members of the armed forces. As the last Union survivor, he was named commander-in-chief of the Grand Army of the Republic. To My Fellow Americans, On April 9, 1865, the terrible war of rebellion ended; the differences between the Union and the Confederacy were forgotten and the North and South were once again united. As the last survivor of the Union army, I have seen these United States grow into the greatest nation in the history of mankind. Our sacrifices were not in vain. Woolsen died August 2, 1956, at the age of 109 years. A statue of him stands outside the St, Louis County Heritage Center (aka The Depot).